I love maps and I can read them! 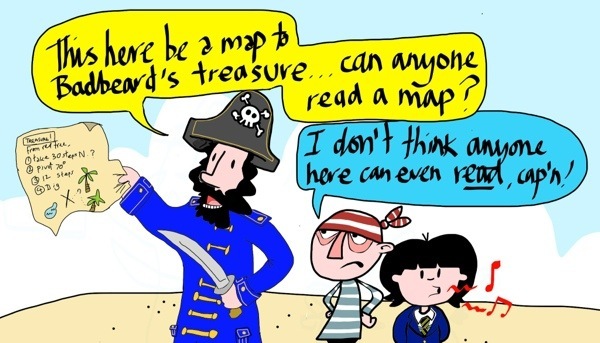 GPS is just no substitute if you are trying to locate treasure!! Thank ye kindly, Cap’n Jack! Very nice pirate hat, indeed! Nice piece of clothing on the others dude head too. You don’t think I might have overdone it with the tags do you? You totally did, so better watch the windows for googling men in black.